Xiaomi has been surprising the consumer electronic industry with its innovative and affordable products since its inception. Founded in 2010, the startup quickly became smartphone leader in the Chinese market. Its success was attributed to its innovative e-commerce tactics — gave it a kind of first mover advantage, and rise in the demand for smartphones. The success party, however, didn’t last long as other started using the same tactics and rolled products with similar feature and price range. As a result, it lost its Chinese market share of smartphone to companies like Oppo, Vivo, and Huawei. Xiaomi soon realized that the Chinese smartphone market has become saturated and in order to keep the pace of growth, it needs to expand globally into markets that are yet to be saturated. Hence started Xiaomi’s global expansion plan which has been in an on-going mode for quite some time. The journey of Xiaomi by now has not been smooth by any measure and faced a lot of challenges. Also, Xiaomi implemented new business strategies along the way. An account of all of this we have brought in this article for you. The table of content below will give you an idea of what insight you will get regarding Xiaomi’s business strategy from the article. Click on any of the headings below to jump to a particular section. How many patents does Xiaomi have? 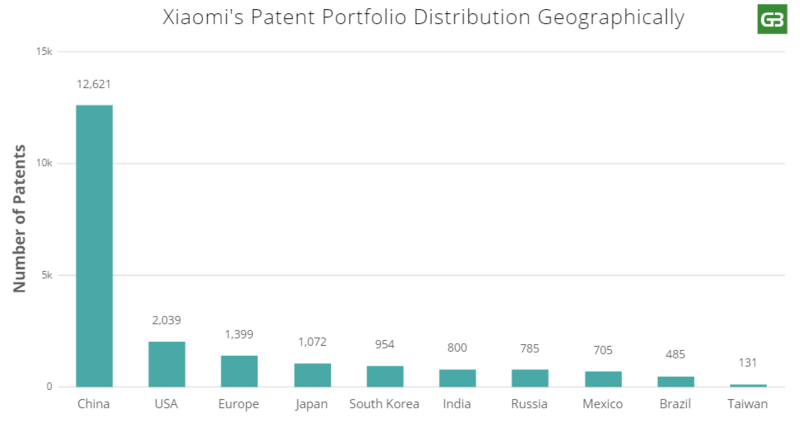 Which countries does Xiaomi have patents in? Patent assignment deal with Foshan Gales Electrical Appliance Technology Co. Which companies could Xiaomi acquire in the future? Is Xiaomi a threat to Apple? Should Apple buy it? Why isn’t Xiaomi a threat to Apple? How Xiaomi compare to Samsung? Xiaomi was founded in 2010. The privately owned Chinese electronics company ventured into the smartphone market with the launch of Xiaomi 1S (released in August of 2011), selling over 300,000 pieces in that fiscal year. In 2012, the sales numbers increased by 2400%, with the launch of Xiaomi 2S and 2A models, which were a significant improvement over its predecessors. With the addition of flagship models with improved features at stunningly low costs, the sales soared exponentially and by the end of 2013, Xiaomi was valued at $10 billion. In 2014, Xiaomi took the smartphone world by storm by introducing flash online sales and sleek marketing strategy. In India alone, they claimed to have sold 1 million smartphones by partnering with Indian e-commerce giant Flipkart. These marketing tactics were a huge success, as Xiaomi sold over 61 million phones in 2014, whilst earning the third spot on the list of biggest smartphone makers on a global scale. 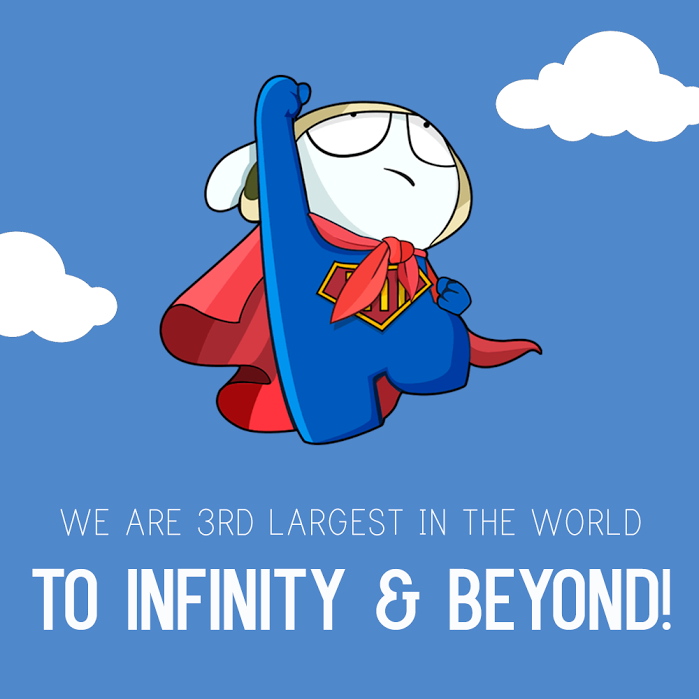 By the end of 2014, Xiaomi was valued at 45 billion dollars making it the most valuable startup in the world. Sales figure from 2015 came as a disappointment as Xiaomi sold merely 70 million phones that year, which though was an improvement over previous year’s numbers, fell short of their speculated sales target by 10 million. The table for Xiaomi started turning in the second quarter of 2015 when Huawei toppled it as a top smartphone vendor of the Chinese market. Looking back at the global sales data from the first quarter of 2015, the situation was imminent. The most valuable startup in the world (now dethroned by Uber) knew well that global expansion was the key to achieving the top spot. If they wanted to soar higher in consumer electronics market, they needed to expand beyond China, especially in the USA. Before reaching its Zenith, Xiaomi had already forayed into other Asian markets including Singapore, Malaysia, Philippines, Indonesia, Hong Kong, Taiwan, and India, with plans to expand to other international markets as well. On June 30th of 2015, Xiaomi made its first foray into the international market by expanding its operations to Brazil, with the launch of Redmi2. Soon after, the second quarter reports of 2015 emerged, and in an attempt to chase the #1 spot, Xiaomi’s co-founder Bin Li went vocal about its global expansion plans encompassing the US as well. Earlier, the company had slowed down its expansion plans in order to learn more about each market it enters. But that was no longer the case. Xiaomi entered swift expansion mode. In November 2015, they expanded sales to African continent: Specifically Kenya, Nigeria, and South Africa. 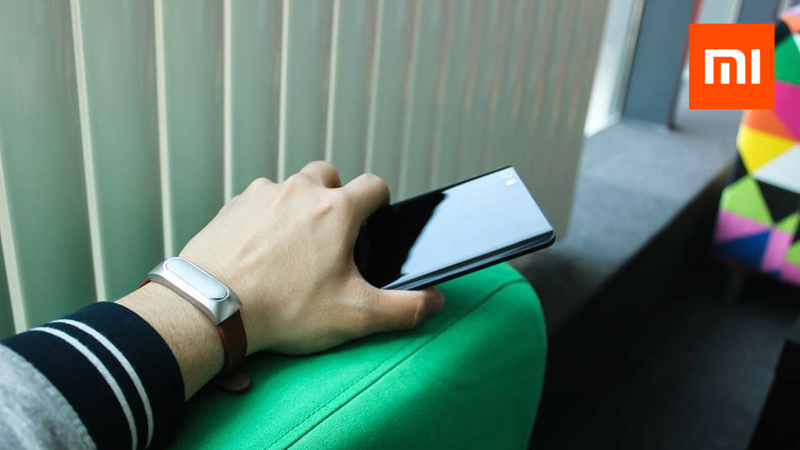 Xiaomi even succeeded in penetrating the US and European markets via its online Mi store albeit limiting sales to smartphone accessories and activity trackers. The move (limiting sales of handsets in US market), though marketed as a precursor to gauge the reaction of consumers, had a big reason beneath it: The lack of patents. Patent Strategy of another company revealed here: What Twitter’s Patent Acquisition Strategy is Like? In India, Xiaomi faced its first setback when the Delhi High Court issued a temporary order and blocked Xiaomi and its distributor Flipkart from importing, marketing and selling smartphones that were infringing Ericsson’s eight patents. It was one of the biggest lawsuits that Xiaomi faced from a big company. Similarly, in the USA, it received a not-so-warm welcome with a patent lawsuit by Blue Spike over its upcoming devices MI 5 and MI 5 plus. Even in its home country, China, Xiaomi couldn’t avoid patent lawsuits. The recent allegations of Yulong Computer Communications Technology (Shenzhen) Co. Ltd, owned by Coolpad Group, has put Xiaomi in another lawsuit for infringing Coolpad’s 3 patents related to smartphone app icon management and other UI elements. The lawsuit was filed on 26 January 2018 in Guangdong Province Shenzhen Intermediate People’s Court. Though Xiaomi yearns for global expansion, it lacked a strong patent portfolio. And to top it all, most of its products resemble other existing products; for example, critics like Damien of Knowyourmobile refers to Mi4 as massive iPhone5s. These all factors in unison made it imperative for Xiaomi to boost its patent portfolio by acquiring third-party patents – which was long anticipated. Broadcom, a semiconductor company based out of the US, transferred 19 patents to Xiaomi, pinpoints an assignment of the USPTO. 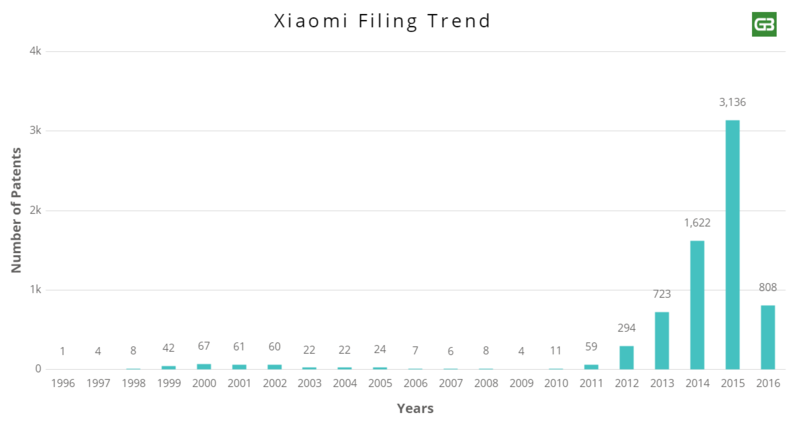 With all these factors in mind, and to answer few questions that were in our curious head, we accessed the patent portfolio of Xiaomi, which has been filing patents since 2009, to see what the Chinese Apple is up to in term of innovation. Xiaomi now has more than 22,000 patents in their portfolio globally (14,000+ unique patent per family) with more than 60% Chinese patents. To give you an idea about how rapidly Xiaomi’s portfolio has grown over the years, they only had around 4700 patents when this report was first written in January 2016 that grew to around 9200 patents by the end of November in 2016. Even though the earliest patent in Xiaomi’s portfolio dates back to 1995, Xiaomi filed its first patent in 2010. All of the 614 patents appearing in its portfolio before 2010, were the result of patent acquisitions and were mostly of the US origin. We got curious and decided to dig deep to see the origin of these patents. Our analysis revealed that out of these 614, Intel Corporation was the original owner of the 320 patents. Between Xiaomi’s dream to penetrate the US and other global markets, the biggest roadblock was a thin patent portfolio. In house, patent filing was not a viable option as it might have taken another decade to build a considerable patent portfolio. Xiaomi strategy hence included patent acquisition alongside with in-house patent filing. Xiaomi filed its first two patents on 27th Dec 2010. The third patent of 2010 in Xiaomi’s portfolio was originally filed by China Academy of Telecommunication Technology. Other than 3 Chinese patents, Xiaomi also has 8 US patents dating back to 2010, which originally belonged to LSI Corporation (which was acquired by Avago Technologies in 2013, which later merged with Broadcom Corp). In 2011, Xiaomi added 59 patents to its portfolio. Out of these 59, 14 patents belonged to Broadcom Corp (more details in a later section) and the rest were filed by Xiaomi itself. With 285 patents, Xiaomi’s patent filing almost skyrocketed in 2012. Out of these 285, most of the patents are the result of their patent acquisition deals. Three out of these patents were acquired from Broadcom Corp, and few of the rest were filed by Xiaomi in China. “We’re building our own portfolio of patents for defensive purposes, because you kind of have to have that. Think of it as a war chest of sorts. We’ve filed over 2,000 patents, which is actually a lot, and we’re acquiring patents”, Hugo Barra in one of his interviews with Bloomberg. Please note that for the year, 2015, 2016, 2017 and almost entire 2018, most of the Xiaomi’s patents (filed and acquired) have not been published yet. A screenshot of the presentation released by Hugo Barra on Facebook points filing 2045 and 3738 patents in the years 2014 and 2015. Which Countries, other than China, Xiaomi is has patents in? Xiaomi has majority of their patents, 12621 to be precise, in China. After China, the USA is the top second country where Xiaomi has 2039 patents in its portfolio. 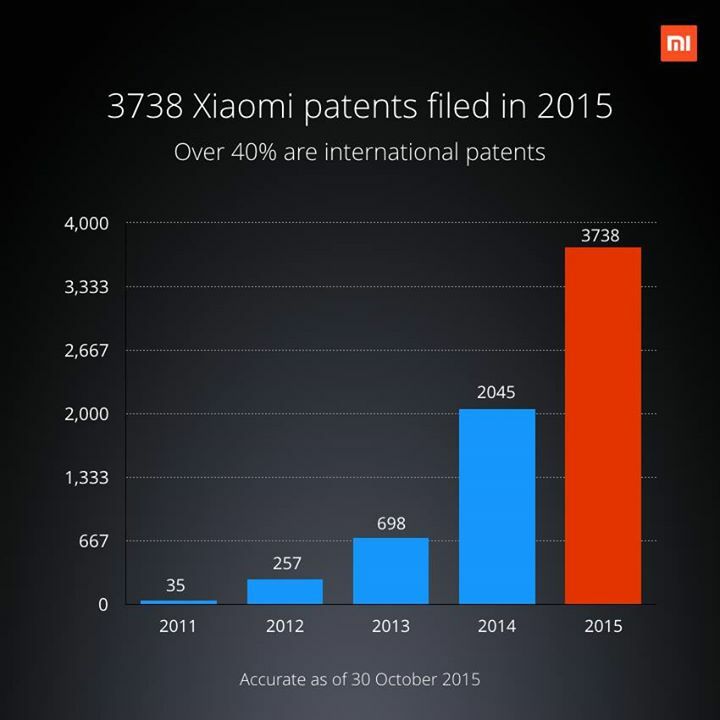 The increase in number of US patents is an indication of Xiaomi’s increased efforts to enter the US market. Europe with 1399 patents is the top third country where Xiaomi holds the maximum of its patents, followed by Japan at fourth spot with 1072 patents. Interestingly, in our previous update of this article, Xiaomi only had 408 patents in Europe with no new about when they were planning to enter the market. Xiaomi earlier was only selling accessories like headphones, fitness bands, and power banks from since May 2015 using their retail stores. You could say that it was an attempt to build the market interest till they work on a stronger patent portfolio to finally make a big splash using their smartphones. After 2 years of waiting, their portfolio grew stronger, Xiaomi felt enough confident to enter Europe’s market by placing their first step in Madrid, Spain. The company launched Mi Mix 2 and Mi A1 smartphones in November 2017 in an event held in Madrid. Then comes their presence in Japan which is currently almost zero. In terms of their patent portfolio, Xiaomi has pumped up their arsenal quite well throughout the years. Till 2016, with just 172 patents Japan was at the seventh place in top countries. And now, they have more than 1000 patents in Japan, taking it to top fourth place. It won’t be surprising to see Xiaomi entering Japanese market next year. Next on the list is South Korea, where consumers have an appetite for the high-end smartphone at cheaper prices, was vital for Xiaomi’s sales expansion outside the home country. Interestingly, in an attempt to enter Korean markets, with 144 patents in its arsenal at that time, Xiaomi launched its first smartphone in South Korea on 4 January 2015 through mobile carrier KT Corporation. A couple of days later, on January 6, Xiaomi pulled back its smartphones from Korean Market due to some legal matters, according to a report by Korean Times. Speculations were that lack of Korean patents might be a strong reason beneath the matter. Xiaomi took the lesson and further strengthened its Korean portfolio to make a foray into the market. Less than 6 months later, Xiaomi made a re-entry in South Korea by opening its first offline store in Seoul. At the moment, the company has 954 Korean patents in its arsenal. India with 880 patents sits at the sixth spot followed by Russia at seventh with 785 patents. Xiaomi’s progress in India has been tremendous after the pull back that occurred with Ericsson’s lawsuit against them. Xiaomi has a dream of global presence which means entering into multiple markets. But one thing is sure; every country will be welcoming Xiaomi with warm patent infringement suits. Ericsson in India and Blue Spike in the US have already done that. So should Xiaomi be worried? Just as we said earlier, 2 years ago it would have been but maybe not now. 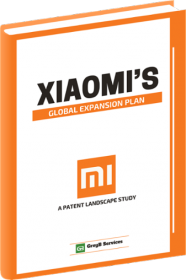 Now though, Xiaomi dedicated efforts to expand their patent portfolio prove that they understood the importance of having an IP strategy in place to foray into global markets. From 4702 patents (when this report was first written in Jan 2016) to more than 22,000 patents currently (as of 12 October 2018), partly by filing and partly by acquisitions, Xiaomi had significantly beefed up its portfolio. The company made some sizable patent acquisitions that would remove some thorns from the path on its way to global expansion. As Qualcomm was facing some inevitable complications in China, the technology transfer was a major negotiation to the situation for Xiaomi. This led Xiaomi to Leadcore Technologies, a subsidiary of Datang Telecom and a renowned smartphone chip manufacturer in China. In Nov 2014, Leadcore Technologies entered into a $US16.8 million deal with Beijing Sunggao Electronics, which according to TechWeb is a company controlled by Xiaomi. The purpose behind the deal was the acquisition of Leadcore’s core technology patents, reads a report by QQ. The extracted patent portfolio of Xiaomi revealed an acquisition of 30 patents. These patents cover 4G and other chip-related technologies. In Apr 2015, Ninebot Inc., which claims itself as the first smart short transportation equipment operator in China, acquired Segway. As per a report by Bloomberg, the purchase also added 400 patents of Segway into the portfolio of Ninebot, parts of which are owned by Xiaomi. In Oct 2015, Ninebot launched its first self-balancing scooter with which Xiaomi embarked on the field of transportation gadgets. At the time of this acquisition, Ninebot was under patent lawsuits filed by Segway and Inventist. Being an emerging startup in the self-balancing vehicle industry, their patent portfolio was just as weak as Xiaomi had in its early days. This acquisition was an exceptional strategic move by Ninebot; with the financial help of Xiaomi they acquired Segway and freed themselves from the lawsuit. Another benefit was, they now had enough patents in their arsenal to counter sue Inventist (The Company with the first patent of Hoverboard). You can read the entire patent battle of Hoverboard industry and how a single patent just turned it upside down, from here. In October 2015, Broadcom Corporation assigned 20 patents to Xiaomi. Most of the patents covered in the deal were of wireless communication domain. Oblon was the law firm involved in this assignment. Qualcomm, in December 2015, announced signing a patent licensing agreement with Xiaomi under which the latter will be paying royalties for its 3G and 4G smartphones. The deal helped Xiaomi include one out of two types of patents – related to wireless communication –in its arsenal. The other types of patents Xiaomi seeking is of smartphone designs and features. Qualcomm’s patent licensing business is intriguing. It earns more than $6bn every year from licensing revenue. What’s the secret? We have conducted a deeper analysis of Qualcomm’s patent portfolio as well which you can find from here. In 2014, an Investment subsidiary of Xiaomi, Tianjin Jinxing Investment, invested 4 million Yuan in Guangzhou Femini Electronic Technology which later filed 27 patents in collaboration with Xiaomi. These patents also appeared in our extracted patent sets. From further analysis, we found the patent set disclosing technologies related to aircraft shock absorbers, remote control, design structures and the like. This patent collaboration adds weight to the Xiaomi’s announcement of launching its first camera drone in 2016. 6. Patent Assignment deal with Foshan Gales Electrical Appliance Technology Co., Ltd.
Xiaomi already has a strong presence in providing smart home products, like air & water purifiers, smart webcams, and routers. In order to expand its intellectual property in this domain, Xiaomi has bought 104 patents from Foshan Gales Electrical Appliances. The company is a major manufacturer of home products like Juicers, water dispensers, etc. In December 2016, News surfaced about a new deal among Xiaomi and Intel. Intel, which is highly active among US companies to penetrate Chinese Semiconductor markets earlier entered into a strategic partnership with Chinese semiconductor company Rockfit, while having a significant stake in Tsinghua Unigroup- the company that owns domestic chipmakers Spreadtrum and RDA. The deal with Xiaomi was two-fold. According to a report by Digitimes, in early December, on the quest to land Xiaomi as a major client, Intel introduced a free chip deal. For every notebook processor Xiaomi purchased, Intel gave away a free tablet processor. This move was speculated to be an attempt so that Xiaomi would consider ordering Intel-based smartphone solutions too. Further to sweeten the relations between the two companies, the semiconductor giant transferred the ownership of 332 patents to Xiaomi. Most of these patents were originally assigned to Intel whereas some of these were owned by LSI, another semiconductor company, whose networking business was acquired by Intel from Avago(A Broadcom Corp company), who originally acquired LSI in 2013. To sell its handsets in the US market, Xiaomi signed a big deal with Microsoft to remove some obstacles from its US invasion plan in 2017. The cross-licensing and patent transfer deal among the companies involves the acquisition of 1500 of Microsoft’s patents from its global portfolio, for which Xiaomi is believed to have paid $40 million. Though the deal is official, Microsoft has yet not assigned the patents to Xiaomi yet. According to a report by Reuters, the patents belong to domains including voice communications, multimedia, and cloud computing. Note: Since the patents have not been assigned to Xiaomi yet, these numbers are not considered while estimating the total number of patents Xiaomi has in its portfolio. The deal will take total patents in Xiaomi’s portfolio to around 8500. In September 2016, News surfaced that Xiaomi quietly absorbed Ruichuan IPR funds, a government-backed Chinese patent holding company. The two-year-old government-sponsored company was known to be seeded with $50 billion to acquire patents that could be used in action against US competitors. Xiaomi was known to have a sizable stake in the company, which was attempting to build a massive arsenal for use in harassment litigation. Though it remains unknown on the kind or number of patents the company has, it would be an interesting addition to Xiaomi’s portfolio knowing its interest in global markets. While the talk is on global expansion, it would also be interesting to note the companies that Xiaomi would consider acquiring to succeed in its quest. While there are a lot of potential candidates ripe for acquisition, two names top the list considering the IP advantage they would bring to Xiaomi’s portfolio. Since inception of Xioami’s global expansion plan, it has been into a lot of patents deal which helped it build a strong patent war chest. Its patent portfolio, however, is still incomparable to competitors like Samsung. To bridge the gap, Xiaomi’s efforts are on and the patent deal with Nokia is an effort in that direction. On July 5 2017, Xiaomi entered into a business cooperation and patent agreement deal with Nokia. The number of patents involved in the agreement or the price tag of the deal is still classified. Besides the patent acquisition deal, Nokia also revealed that the company has signed cross license deal with Xiaomi for cellular standard essential patents. If you are wondering how SEPs are important, you can consider reading this article: How to find whether a patent is a SEP? On July 6 2016, Xiaomi bought patents from Casio, one of the most famous Japanese consumer and commercial electronics manufacturer that has been in the industry for more than 60 years. Casio has a wide range of products from calculators to musical instruments. They were the first company to build an all-electric calculator. The patent assignment deal consisted 59 US patents majority of which were covering camera and image processing technologies. This acquisition will surely add fuel to Xiaomi’s pursuit to enter the US smartphone market. This was the first patent related news that popped up this year from Xiaomi. After a long break of almost an year, Xiaomi returned to their acquisition quest in August, when they acquired about 350 patents from Philips. IAM media reported on this assignment first mentioning the lack of Chinese patents in the deal. The assignment contained about 130 US patents and dozens of patents from other countries including Japan, India, South Korea, Russia, and Turkey. We analysed the patents involved in this transaction and almost all of the assets are related to display technologies, especially OLEDs. Analyzing their entire portfolio could reveal more insights about how this transaction will add value to their product line, other than strengthening their patent portfolio. Want us to dig deeper? Reach out to us here to get the full analysis conducted. Recently in September Xiaomi entered into a agreement with Japanese Telecom giant NTT Docomo for a global license of their 5G standard essential patents. This agreement will help Xiaomi in building 5G compatible device, which most of the market leaders like Samsung, Apple are already working on too. Reports surfaced last year, claiming Xiaomi intend buying Blackberry for beefing up its patent portfolio. Blackberry, with a strong portfolio of 4400 patents is cited by Bloomberg as “Wireless trove for any acquirer.” The blackberry portfolio is abundant with wireless and security-related patents, further, the mobile technology patents would only serve as a feather in Xiaomi’s cap. According to a study conducted in 2013 by MDB Capital group LLC, a California-based patent investment bank, it was seen that both these companies, Apple and Blackberry cite each other’s technology more than any other set of two companies. Any granted patent of these companies proves that they do not infringe on each other’s patents. Acquisition of Blackberry or its IP will serve as an aid as well as a protection net when Xiaomi expands its handsets sales to the US. Since 2011, quarter after quarter, HTC has struggled to maintain its sales growth. In Aug 2015, HTC’s stock plunged further by 60% which made analysts propound the brand as useless for investors. The company with revenue of 132.7 Billion Taiwanese Dollars (Approx $4.17 Billion) is a great option for acquisition since post patent wars, Apple and HTC signed a 10-year license agreement covering current and future patents held by both companies. If Xiaomi acquires HTC, instead of having Apple as a competitor, the cross-licensing deal would allow Xiaomi to freely build on Apple’s patents without fearing litigation. (This could be done provided the terms of licensing agreement do not change in case of M&A). Is Xiaomi a Threat for Apple? Should Apple Buy It or keep up the competition? Both of the questions are contentious; however, once Xiaomi goes global, it can – which it already is – be an acquirer or can get acquired. Hence, a lot of dynamics are possible. Let’s discuss the first question: is Xiaomi a threat for Apple? The answer is a yes as well as a no. Why Xiaomi could be a threat to Apple? First, like Apple, Xiaomi has a huge fan following, not only in China but in India also which was evident from their conferences there. Second, Apple aspires to make China as its largest market where Xiaomi has a great hold. Why Should Apple Acquire Xiaomi? Given the large fan base and market share, acquisition of Xiaomi will help Apple to penetrate into the market captured by Xiaomi. Other than that, Apple may have another arm of low-cost devices. A look at the third quarter of global smartphone sales data reveals that Apple has a market share of 12.3% whereas Samsung owns over 19.8% of the market. With the acquisition of Xiaomi, Apple won’t just capture the market of low-cost devices but also would give a stifling competition to Samsung with Xiaomi’s 4% market share. But no matter how good the opportunity, it is unlikely that Apple would ever acquire Xiaomi. One reason that eliminates all speculations of Xiaomi being a threat (or acquisition option) is Apple’s goal itself. Apple goals do not include – for any reason – selling low-cost smartphones targeting a marketing segment that could afford them. Apple is a premium brand with higher margins per device. Thus, even if Xiaomi’s global expansion strategy bears fruit, in the smartphone segment, it may never become a threat to Apple and hence, Apple may never acquire Xiaomi. Though Xiaomi will not be a threat to Apple, however, there are fair chances of it destroying market of Apple’s best friend from lawsuits classes, Samsung. Given the same class of users and a price half of a Samsung’s flagship smartphone with similar specs; Xiaomi is all set to keep hurting Samsung profits in the future. Samsung has been the top player based on global sales for past few years but, the foray of Chinese players into the market has continued to hurt Samsung’s revenue. If Xiaomi succeeds in its global expansion plan with the help of its portfolio, the market dynamics would be worth a watch. Xiaomi, as a smartphone company, has seen both ups and downs. From selling 300,000 handsets a year to being the most valuable startup, to faltering sales, Xiaomi has seen it all. Considering the tough competition other players like Huawei, Vivo, Lenovo poses, Xiaomi realized that Global expansion is the only way to stay ahead. In order to achieve its goals, Xiaomi has an actionable IP strategy which might open doors of opportunities in the global market. But it is worth noting that despite having a sizable portfolio; Xiaomi has not made it to its top position. Why? Xiaomi’s rise was based on one simple advantage: It offered premium hardware and features at a fraction of offered by Apple or Samsung. But as soon as other Chinese manufacturers entered the market offering premium specifications at low prices, the danger was imminent. Further, the competitors didn’t just manufacture premium devices at low costs, albeit added features that gave them an edge. For instance, Vivo offered curved screens, LeEco offered Exclusive content and Huawei offered dual lens camera and fingerprint sensors in its handsets. Xiaomi on the other side, despite having a sizable portfolio failed to take advantage and that serves as one reason beneath its small market share. A strong portfolio, a huge fan base, holds over some pretty strong markets, what should Xiaomi do next to emerge as a leader? Leverage its IP and Innovate. That is how Xiaomi could up its game. Xiaomi’s expansion plan would be incomplete if it fails to get a hold over the US and European markets. The US, being an IP-intensive economy, would require some strong patents from Xiaomi to allow invasion in its markets. Though Xiaomi had been taking steps toward reaching its goal, the road ahead isn’t really easy. With President Trump insisting on manufacturing products in the US itself, Xiaomi might lose the low-cost advantage it offers if it has to start manufacturing its products in the US once it enters the market. No matter what the case, US Expansion or not, Xiaomi won’t become a market leader if it continues to play on its low-cost advantage. Rather, it should take advantage of its beefed-up portfolio and bring innovative products to market that would ensure its success.